Making the program a benefit instead of a tax on employee pay will reduce the burden on those employees who cannot or will not use the leave, and does not force Connecticut’s businesses to shoulder ever more government regulation and expense. Forcing all employees to “buy-in” would not make the program solvent. Paying one half of one percent for twelve weeks of paid leave per year simply does not add up. 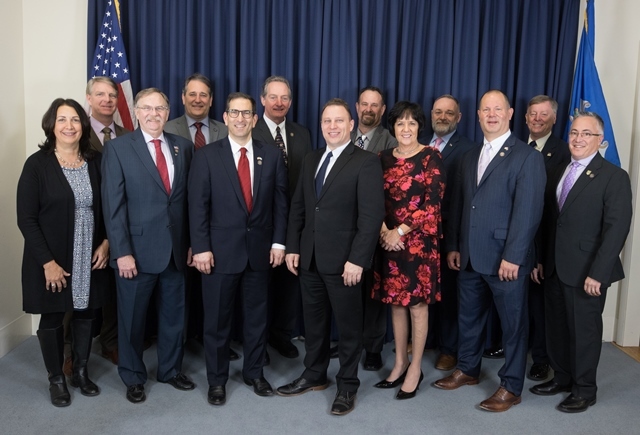 The Connecticut General Assembly Conservative Caucus is a group of legislators dedicated to the principles of limited government, economic freedom, and individual liberty. Its members, Rep. Mike France, Chair (R-42); Rep. Craig Fishbein, Vice Chair (R-90); Rep. Anne Dauphinais, Secretary (R-44); Rep. David T. Wilson, Treasurer (R-66); Senator Rob Sampson (R-16); Rep. Tim Ackert (R-8); Rep. Brian Lanoue (R-45); Rep. Doug Dubitsky (R-47); Rep. Rick Hayes (R‑51); Rep. Kurt Vail (R-52); Rep. John Piscopo (R-76); Rep. Gale Mastrofrancesco (R-80); Rep. John Fusco (R-81); and Rep. Vincent Candelora (R-86), foster open debate about the role of government in society, adherence to the Constitution, and the rule of law. They propose and advocate for legislation that promotes the freedoms, individual rights and prosperity of all Americans.